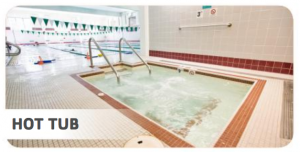 The McGaw YMCA’s main building, recreational center and Children’s Center are conveniently located near downtown Evanston, just two blocks west of the Davis Street CTA and Metra stations. We’re proud to offer outstanding staff and volunteers at each of our facilities that support the Evanston area’s youth, adults and families. Exterior of 1000 Grove Welcome to the McGaw YMCA located on 1000 Grove in Evanston, IL. The Y is located near downtown Evanston, just 2 blocks away from the Davis CTA and Metra Stations. Welcome to the Front Entrance of the McGaw YMCA in downtown Evanston. Parking Members of the McGaw YMCA in Evanston enjoy 2 free hours of parking. Front Desk Welcome to the Lobby, where our Front Desk staff are here to greet members and guests. Tours Ask about taking a tour of our facilities and learn more about what the Y has to offer your family. Click here to learn more about joining the Y. 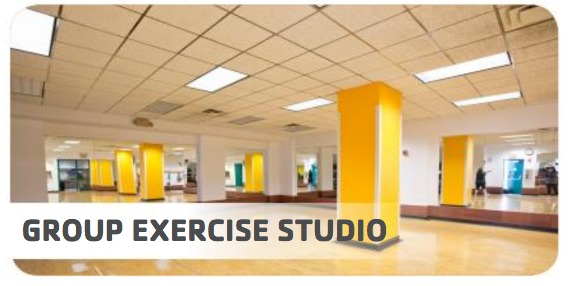 Group Exercise Studio The Y offers over 95 free group exercise classes, including Zumba, Spinning, Pilates, and Yoga. Click here to view the Group Exercise Schedule. Training & Weight Loss Get extra support on your wellness journey through customized Wellness Orientations, Basic Training, Personal Training, and Move It To Lose It. Click here to learn more. 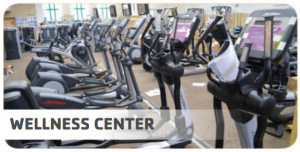 Wellness Center Exercise with state-of-the-art cardio equipment and Cardio Theater system with five 52” televisions and audio plug-in at each cardio machine. Weight Machines Weight machines, lockers, and exercise balls are available for members' use. Spin Studio Located on the upper track level, the Spin Studio holds free spin classes for Y members in Evanston. Click here to view the Group Exercise Schedule. 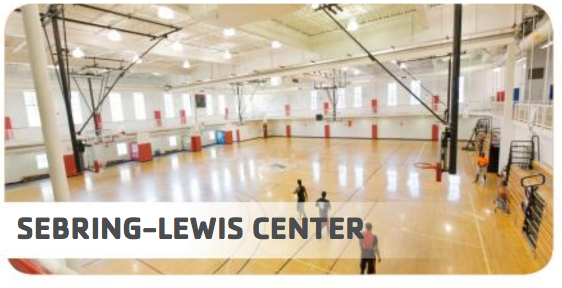 Sebring-Lewis Center Gymnasium The SLC is a 30,000 square-foot gymnasium with two full basketball courts, and an indoor running/walking track. 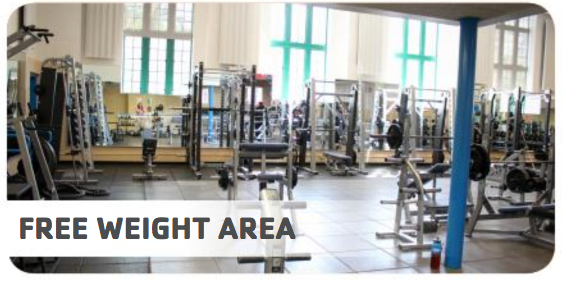 Click here to view the latest gym schedule. Lockers Small and large rental lockers available, or bring a lock for daily use. 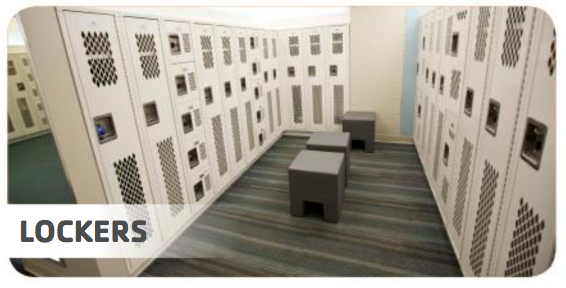 Locker Rooms The Y has 5 locker rooms total: Men’s and Women’s Adult-only locker rooms, Boys’ and Girls’ locker rooms for grades 3-8, and a Family locker room with private changing rooms complete with shower, toilet facilities and changing table. 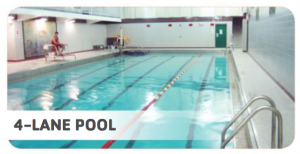 6-Lane Pool Murdough Pool: 25 yards, six lanes, primarily used for lap swimming, swim team practice and meets, and selected water fitness classes. 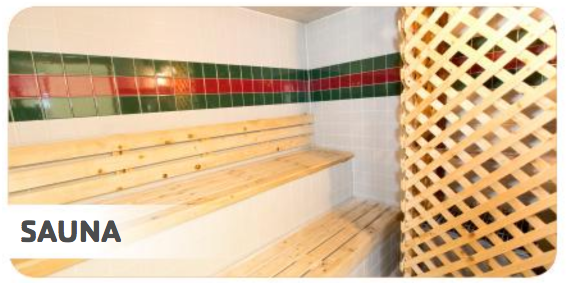 Temperature approximately 80°F. 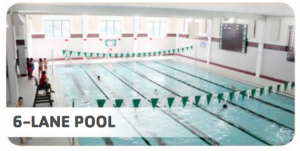 Click here to view to pool schedule. 4-Lane Pool Warm Water Pool: 25 yards, four lanes, primarily used for swim lessons, family swim, open swim, and selected water fitness classes. 36 laps to the mile. Temperature approximately 85-87° F. Click here to view to pool schedule. North & South Sky Decks Primarily used for party rentals and meeting space. To learn more about party rentals, click here. Sky Deck North Primarily used for party rentals and meeting space. 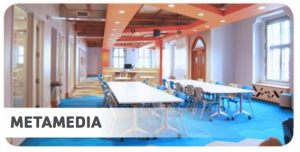 To learn more about party rentals, click here. Racquetball, Hand Ball and Squash Courts Located in the 5th Floor of the McGaw YMCA in Evanston. 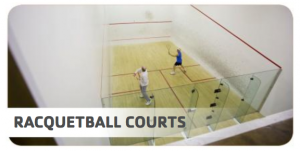 Learn more about racquetball leagues here. Training Center Punching bags and space for training located on the 5th floor by the courts. Observation Deck Click here for information on Racquetball Leagues in Evanston. Personal Training Office Get personalized support through Personal Training and Wellness Orientations. Meet the personal trainers by clicking here. Massage Studio Located in the Wellness Center, the Massage Studio offers a variety of different therapeutic massage by licensed therapists. Meet our massage therapists by clicking here. Pilates Studio To learn more about Pilates Personal Training, click here. Personal Wellness Center Additional space for group exercise classes, wellness programs, cardio & strength training equipment as well as free weights. Chinnock Lounge Ideal meeting space located just inside the Front Lobby. 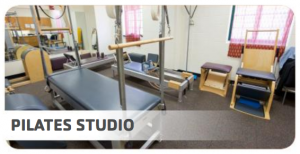 The Evanston Review Room The ERR is used for meeting space, rentals as well as some group exercise classes. Vendeteria Located down the hallway of the Front Lobby, next door to the Group Exercise Studio on the first floor. Elesh Learning Center A space utilized for tutoring and Project SOAR. YMCA youth members receive one hour of free tutoring per week. 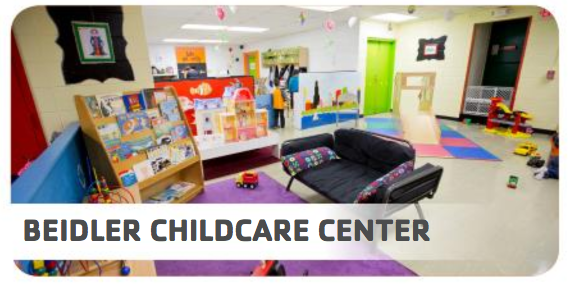 Beidler Childcare Center Located downstairs from the Front Lobby, Y members receive 2 free hours of childcare while they work out. Learn more here. Program Support Located just inside the Front Lobby, Program Support staff are waiting to assist with signing up for programs, including day camp and Camp Echo. Learn more about our summer day camps in Evanston here and Camp Echo here. Youth Lobby The Youth Lobby with ping pong and pool tables gives families, young Y members and guests a place to hang out. McGaw YMCA Children's Center Located just down the street at 1420 Maple Ave, the Children's Center offers programs for infants through kids in 5th grade. Learn more about the Children's Center at the McGaw YMCA here. 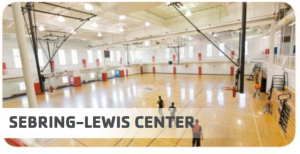 McGaw YMCA Chidlren's Center Located just down the street at 1420 Maple Ave, the Children's Center offers programs for infants through kids in 5th grade and summer day camps for kids 2 1/2 years through 8th grade. Learn more about the Children's Center at the McGaw YMCA here. Foster Reading Center The Foster Reading Center is a literacy program for kids K through 2nd grade. Learn more about FRC here. McGaw YMCA Camp Echo Located in Fremont, Michigan, Camp Echo is an overnight camp for kids entering 3rd grade through 12th grade. In addition to the typically camping experience, Camp Echo offers off-site adventure trips, and programming year-round. Learn more here. Members of the McGaw YMCA receive parking passes for our lot, valid for 6 months at a time. 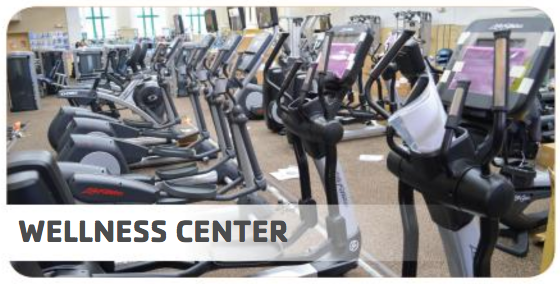 Enjoy free parking for up to 2 hours while you work out. Our member lot is located just south of the McGaw YMCA building. Our staff lot is located across the street and under the covered lot south of the building. The staff lot is available for use by members on weekdays before 8am and after 4pm, and all day on Saturdays and Sundays.